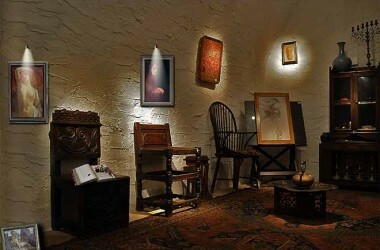 Gibran Khalil Gibran Museum, Becharreh. In 1932, the content of Gibran’s studio in New York, including his furniture, his personal belongings, his private library, his manuscripts and 440 original paintings, was transferred to his native town Becharreh. Today, these items form the content of the Gibran museum. A historical museum with an interesting story and a great village to visit! A must do!